It has been absolutely dumping the last 2 days and today was officially a day off training but if there’s fresh snow you defiantly don’t have the day off. 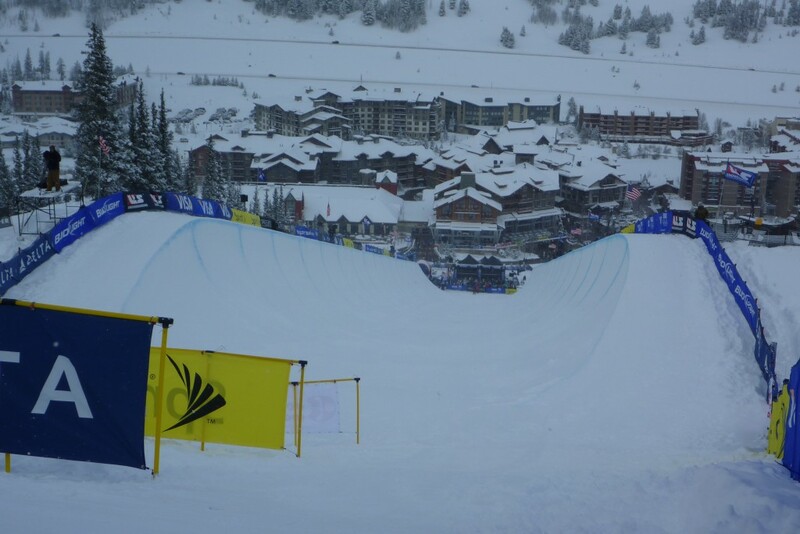 The Halfpipe Finals were on today for the Grand Prix Competition at Copper Mountain. The comp was set to start at 11:30 so I headed up the mountain a bit earlier to get a few powder tree runs in, and I’m glad I did. The snow was pretty epic! After I had my fun in the powder I went to watch the competition and my coach got me into the competitors area at the top of the pipe, which was pretty cool being around all the pro riders. It was great watching the level of riding that’s getting thrown down by the girls knowing what I have to work up to. As for the guys Louie Vito and Luke Mitrani’s runs were pretty awesome. I finally get to ride pipe tomorrow at Copper for the first time. So tomorrow is looking to be a great day.